The Marvel Project: Joe Simon R.I.P. Comics pioneer Joe Simon passed away on Wednesday, December 14th at the age of 98. 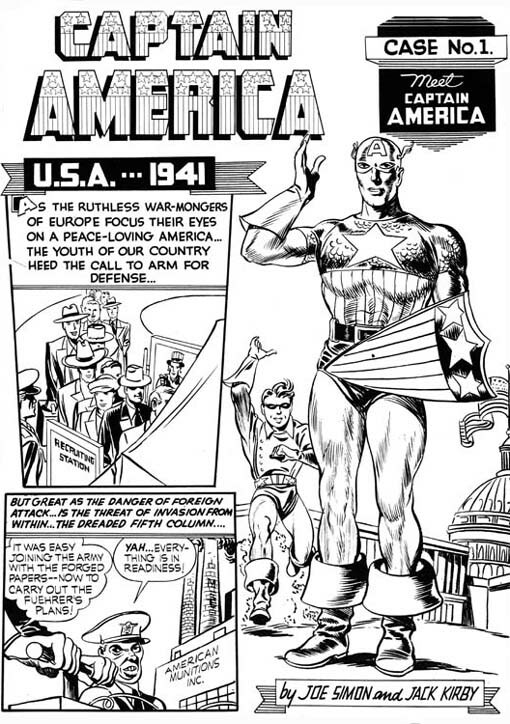 Best known as the co-creator of Captain America alongside Jack Kirby, Simon's career in comics as a writer, artist and editor spanned more than five decades. His prolific body of work and the many characters Simon created and co-created for Marvel, DC, and Harvey are an enduring legacy for one of the true trailblazers in the history of comics. The New York Times published a thoughtful obituary on December 15th and I'd recommend Simon's autobiography Joe Simon: My Life In Comics (Titan Books 2011) for anyone who wants to learn more about the renowned creator's life and work.